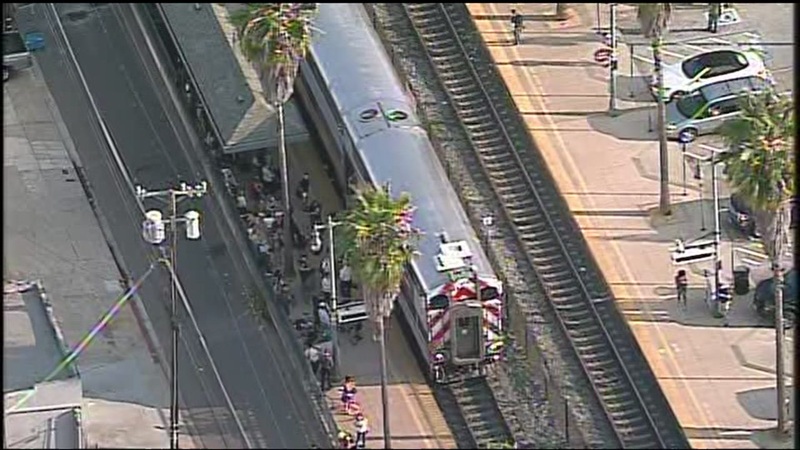 SAN MATEO, Calif. (KGO) -- A person was hit by a commuter train at the San Mateo Caltrain station this afternoon, Caltrain officials said today. Caltrain reported at 4:43 p.m. that northbound train No. 261 hit a pedestrian at the station. We are unloading passengers from incident train at San Mateo. Approx 500 passengers, 50 bikes. Hope to begin single tracking in 10 mins. The pedestrian was rushed from the tracks to a hospital but the extent of their injuries was not immediately clear. Train No. 261 is canceled and the roughly 500 passengers on board are being evacuated to another train. None of the passengers were injured. Trains are single-tracking through the station so while the system is moving there are major delays.